Bacon & Bliss: Happy Easter! Firstly, Happy Easter!! We didn't do church or anything, but we did have friends over and do a ham and the whole thing. We've been trying to do paleo for the last couple weeks, so we made sure that everything we were eating today fit the bill. 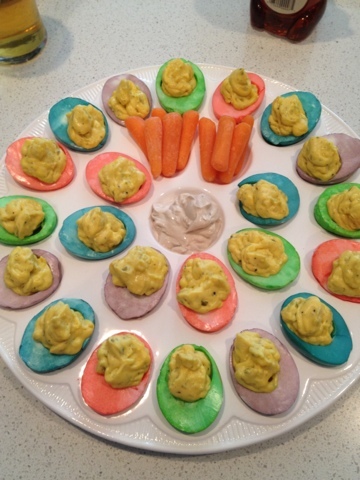 Since we needed sides, I clearly went directly to Pinterest to figure it out and found pastel deviled eggs - perfect for Easter! The recipe is pretty straight forward, and to be honest, I didn't follow the filling at all as I've been making my mom's version since college. So firstly, I boiled eggs. 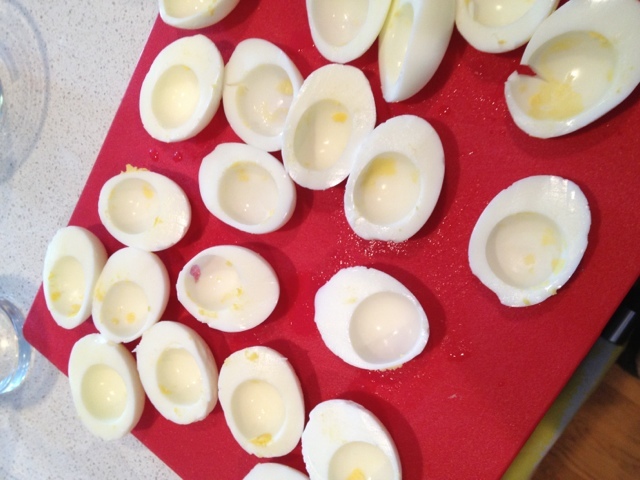 Once they had cooled, I halved them and put the yolks in a gallon bag. 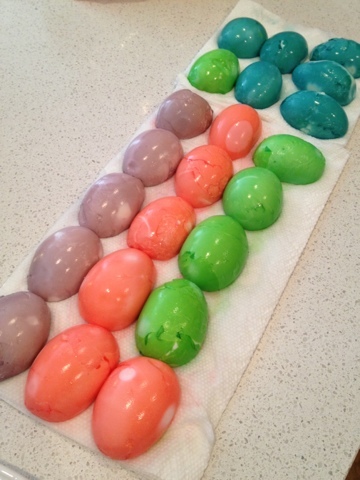 After spending more time than I'd like to admit deciding which colors I wanted, I put the halves in a cup of cold water with a few drops of food coloring and a capful of white vinegar and let them sit for 45 minutes. Ta Da! 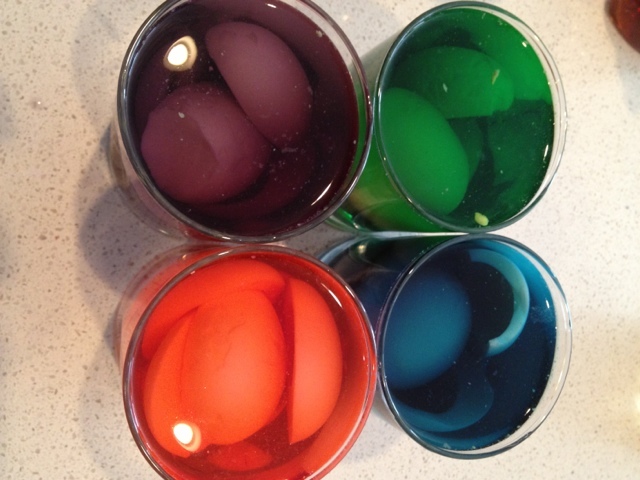 Easter Deviled Eggs! What did you do for Easter? Any Pinspirational Projects? This is Our Final Offer!